* Creative Ideas! Read these delicious recipes for candied jalapenos by the Homemade for Elle blog and sundried tomatoes by the Forks & Folly blog using these clear glass canning jars with gold plastisol lined caps. 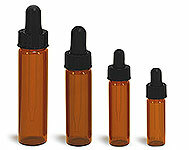 These clear glass wide mouth jars are available with gold metal plastisol lined caps. The plastisol liner, when heated and cooled properly, will adhere to the rim of the glass jars, creating a hermetic, tamper evident seal. The plastisol liners make this jar an ideal option for canning and preserving foods.